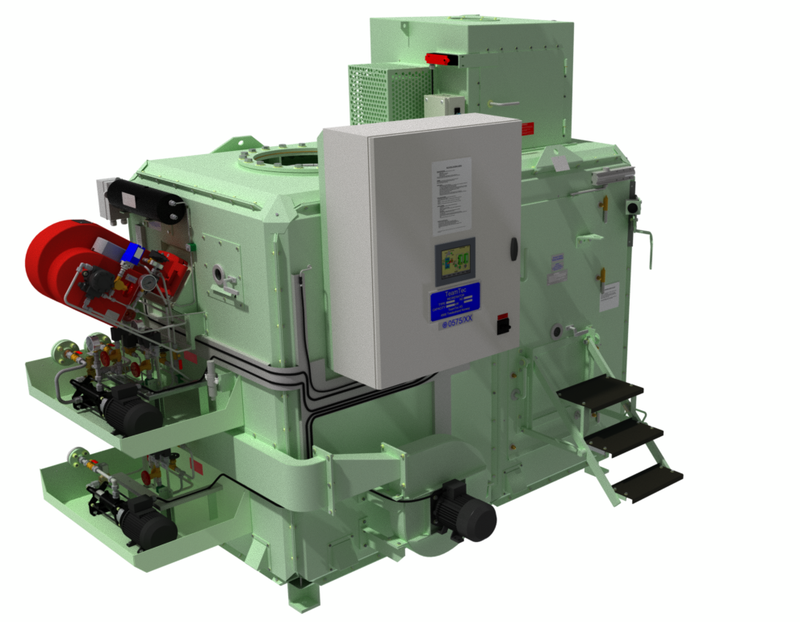 The GS1000C is the most compact marine incinerator, relative to capacity, on the market today – 1 500 kW. The model has NOx reducing bilge water injection as standard. Our flagship – our biggest model with a IMO defined capacity of 171 l/h of sludge oil and 237 l/h of bilge water. 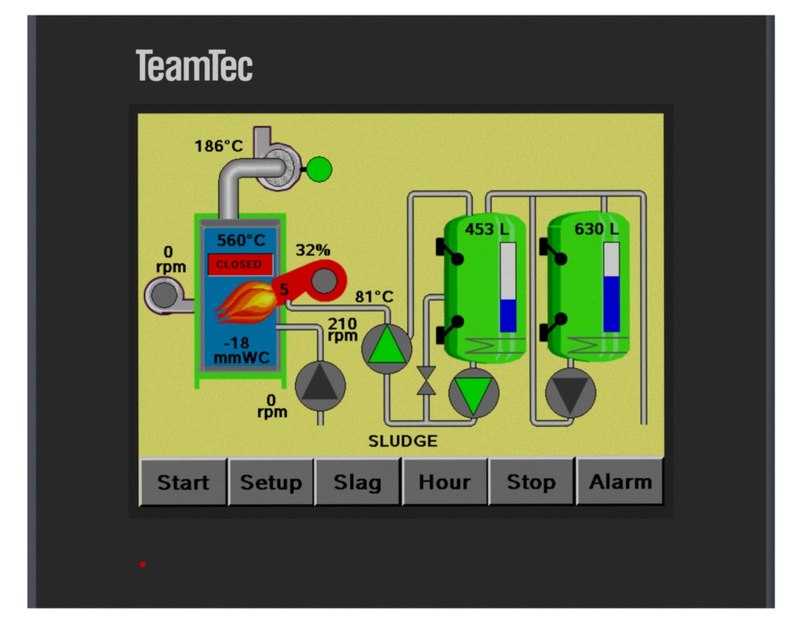 This model comes in two versions; the GS1000CX mainly for sludge oil burning and the GS1000CRSX for burning both sludge oil and solid waste simultaneously. The latter version has a top-mounted sluice for feeding of the solid waste as shown in the picture to the right.